For sale is a land located in a very secluded location and provides real privacy. 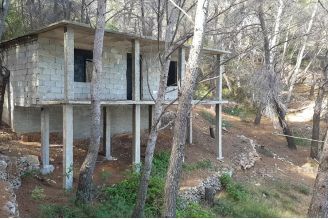 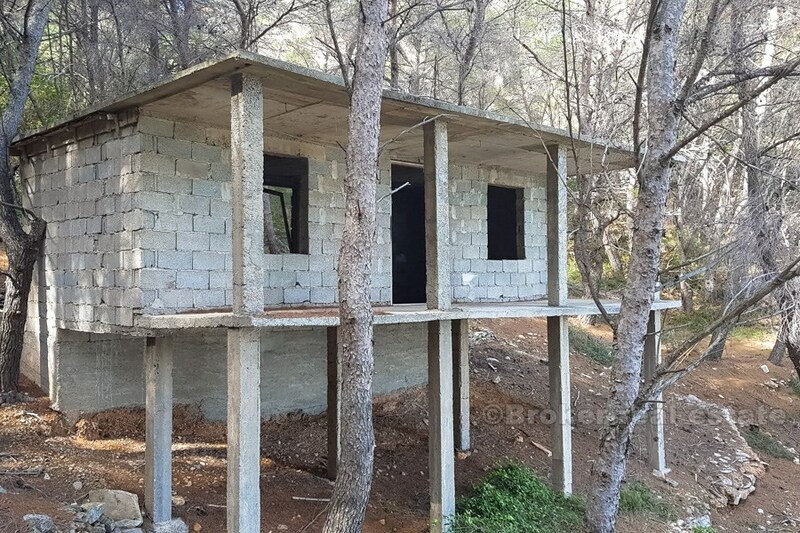 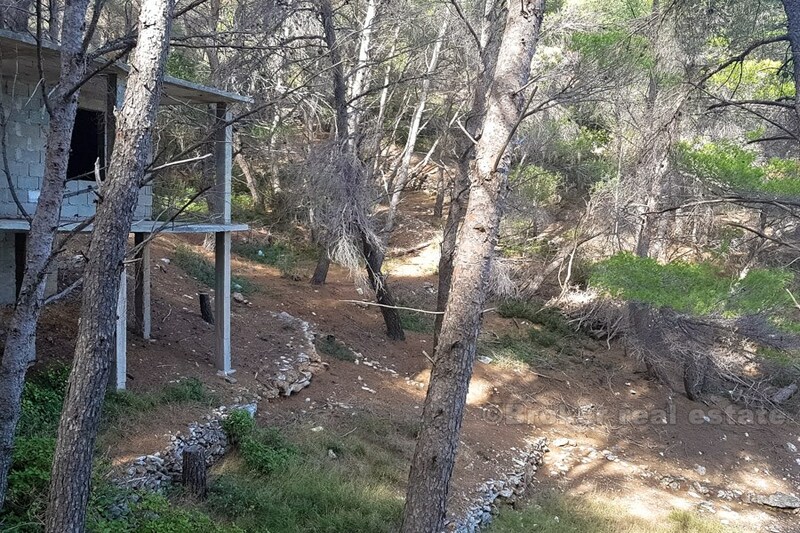 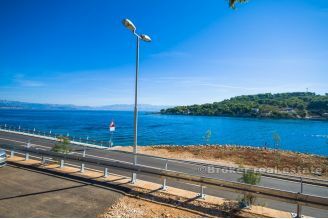 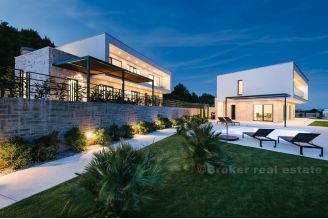 The land is 435 m2 size, and there is an unfinished, ground floor, house on area of 40 m2. 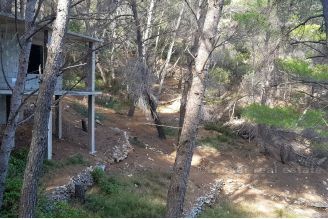 The possibility of reconstruction offers the construction of a house of total surface of 80 m2. 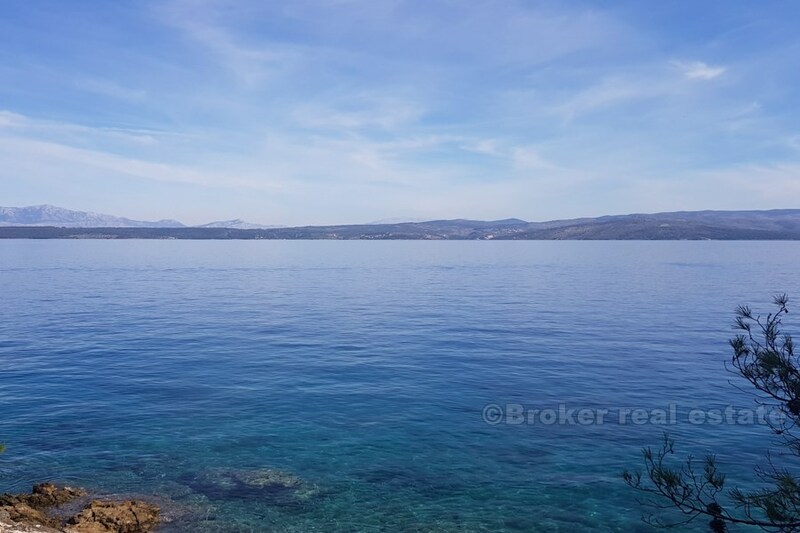 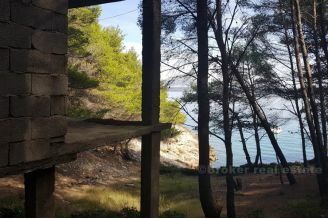 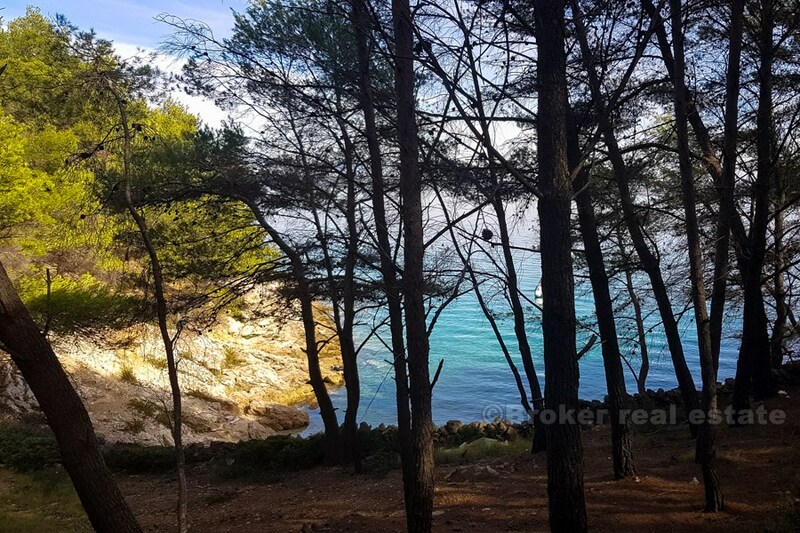 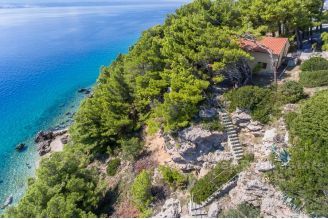 The property is right next to the sea, where there is also a small secluded beach. 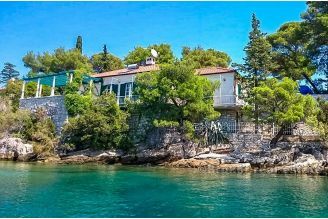 The property can be accessed only by a 300-meter long pedestrian patio or a boat. 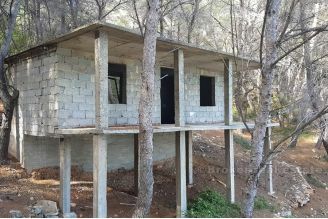 Electricity and water are not near the property, so the future owner should know that this is an ideal property in a lonely position offering robinson's pleasure where he needs to rely on solar panels or aggregates, water tank and septic tanks. 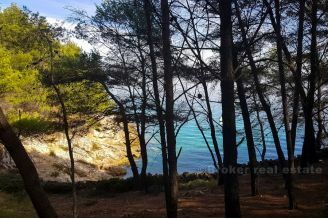 In this cove, there is a small unfinished house in the immediate vicinity, while there are no more houses in 400 meters distance, and there is no possibility of construction.